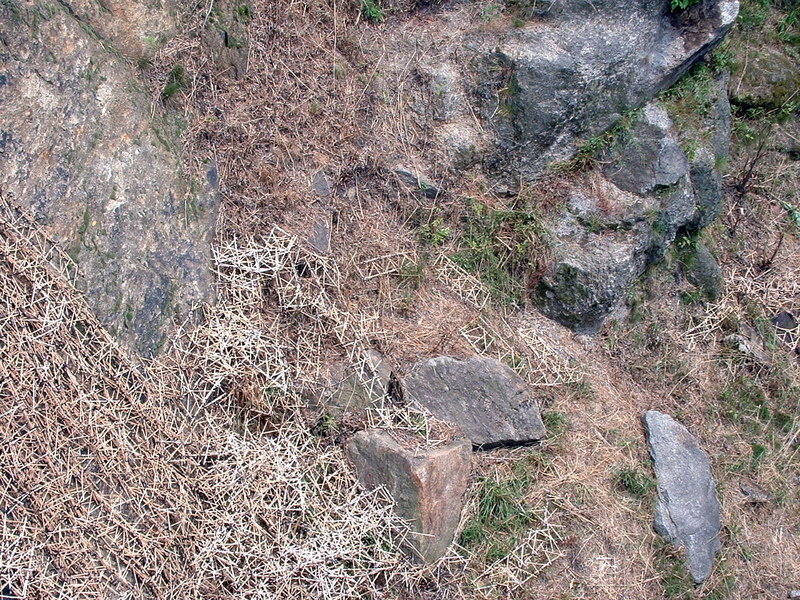 Art in the Open aims to give a different perspective on the creative process by inviting the public to watch artists working outdoors and, consequently, enabling artists to draw inspiration directly the environment. In Philadelphia, this is an urban environment. So it seemed appropriate that Brian had decided to build giant towers under a bridge near the Waterworks. 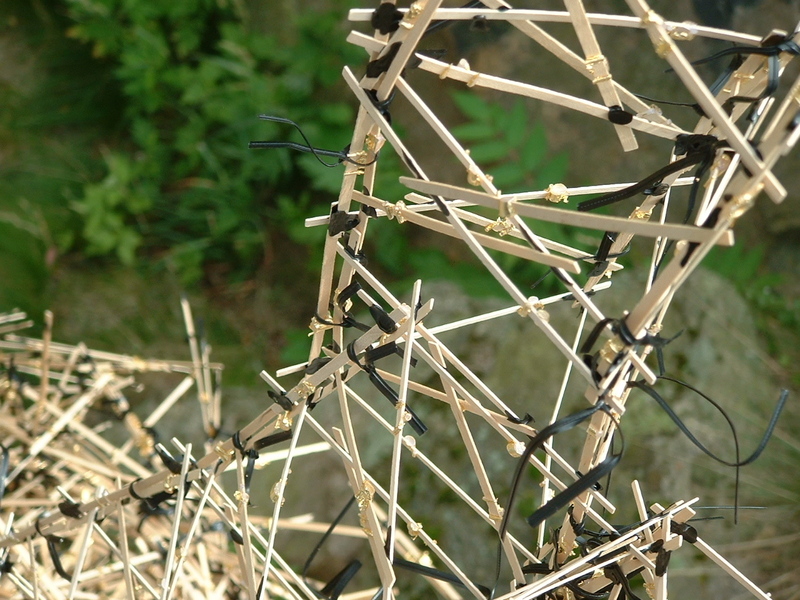 On our drive there, Jeri told me that Brian built the towers from wooden coffee stirrers. Talk about the environment having an effect on the creative process! We wondered how the towers had withstood thunderstorms the night before. Were they still there? What would they look like? We met Brian standing in front of his installation answering people’s questions and talking about the challenges of building an art installation on a steep, rocky incline under a bridge trestle during a heat wave. But he wasn’t alone; he explained good naturedly how a family of baby rats, a garter snake and a suspicious groundhog watched his every move. And take it from me, Philadelphia groundhogs are tough! Brian knew enough not to mess with the groundhog (he was on the groundhog’s turf, after all) and he completed the installation. To see the installation as it looked when Brian finished it, press here. But then it rained and the installation took on a different form. Not what Brian had planned. Even so, his installation caught the attention of everyone who passed by the next day. 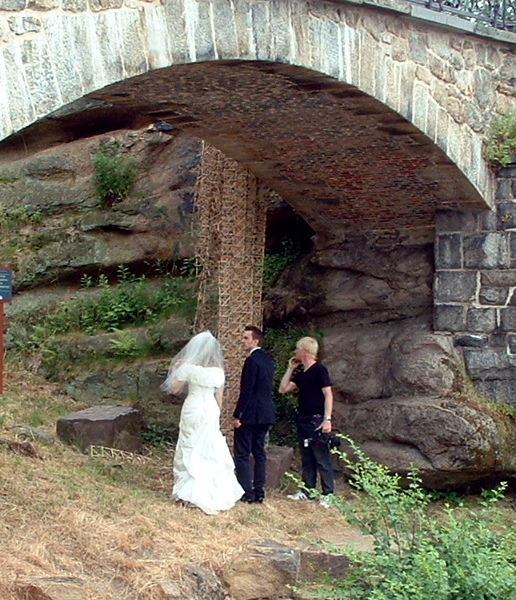 And a couple who had just gotten married had the courage to climb up under the bridge to have some wedding photographs taken next to Brian’s creation. I wonder if the rats, snake and groundhog minded? To go to Brian’s web site, press here. To go to his blog, which contains in-depth information about the creation of the installation, press here.